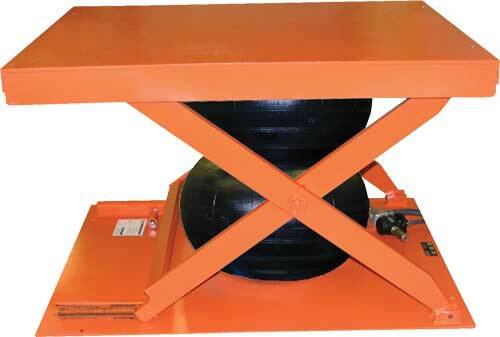 With the lowest collapsed height air lift table on the market, you can achieve a 4" lowered height. This low height allows for more material to be placed on the lift and still be in reach of the operator. These units have Pressure relief valves to prevent over inflation of the air bag, as well as a captured scissor track to provide stability and safety while raising and lowering. Air requirements are 60-120 psi, with a minimum .5" pipe or rubber hose.